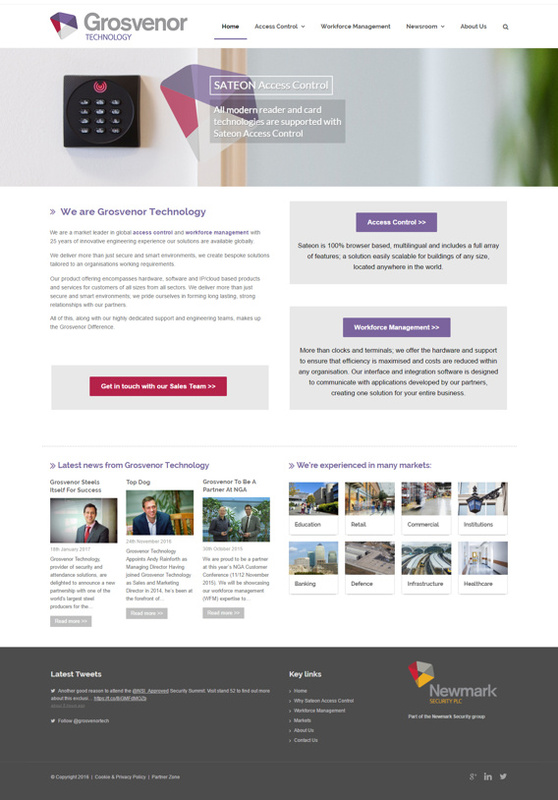 Primary Image designed this large multilingual WordPress website for Grosvenor Technology, who are a global provider of door entry systems. Grosvenor Technology makes up a significant part of parent group Newmark Security PLC, which has annual revenues of £20 million. 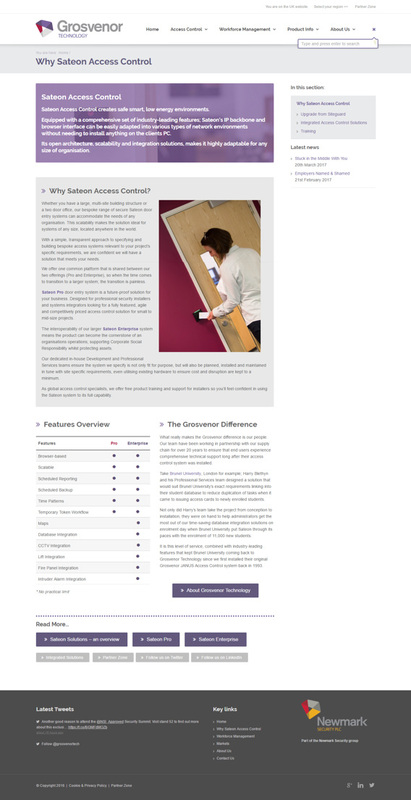 Why did Grosvenor Technology choose Primary Image? Grosvenor Technology’s marketing team, based on the Stansted Airport business park in Essex, originally approached us need of WordPress support. They had started using a WordPress theme (called Flare) at the start of 2014, but were coming across hurdles more frequently and decided they needed professional help. Whilst the company had investigated various WordPress agencies, they wanted a local Essex-based provider because they valued easy communication and they wanted good value for money. Primary Image started working with Grosvenor Technology towards the end of 2014, finding ways of customising the off-the-shelf theme and incorporating their ideas throughout the website. We redesigned the home page and also developed a new members-only login area for the company’s clients. In addition, we assisted their IT department in fixing issues with their hosting account. Why was a new website needed? Whilst they had only started using the Flare WordPress theme at the beginning of 2014, the theme itself dated from 2012 and was already looking dated. The marketing team found it difficult to use, resorting to asking Primary Image for even small changes to their website. It was only barely mobile friendly, but didn’t really work well on smaller screens. In early 2015, Grosvenor Technology decided the website needed to cover their overseas markets. This meant the website would have to be changed significantly, with a new structure and a large expansion in its content. In our discussions with the company, we recommended now would be the best opportunity to install a brand-new, more attractive template. This would create a stronger base for the long-term and ensure their investment lasted longer. They agreed and we started work in July 2015. What did the new site include? 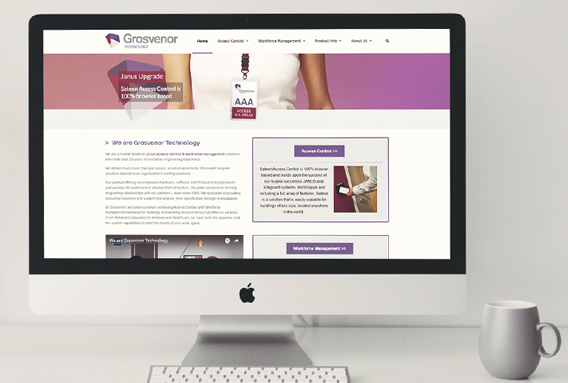 Grosvenor Technology needed the new website up and running quickly to support their marketing campaigns. The new UK website went live at the beginning of August, just a month after we started work. A much fresher, lighter look, compared to the previous website that was on a black background. A completely reorganised structure, with dedicated areas for case studies and news. A private login area for customers to download files and access information. An easier editing experience, so the marketing team could take control of their website themselves, including creating new page layouts, buttons and other visual components. A stronger foundation for good SEO. Built on WordPress Multisite, meaning additional sites can be added onto the existing website easily. Once the UK site was launched, work immediately turned to Grosvenor Technology’s international sites: China (in English), simplified Chinese and American. By using WordPress Multisite, we were able to create additional country-specific sites on top of the main website. These country websites shared the same common template, but had their own navigation menus, native languages and relevant product information. We ensured even the smallest details were customised, e.g. 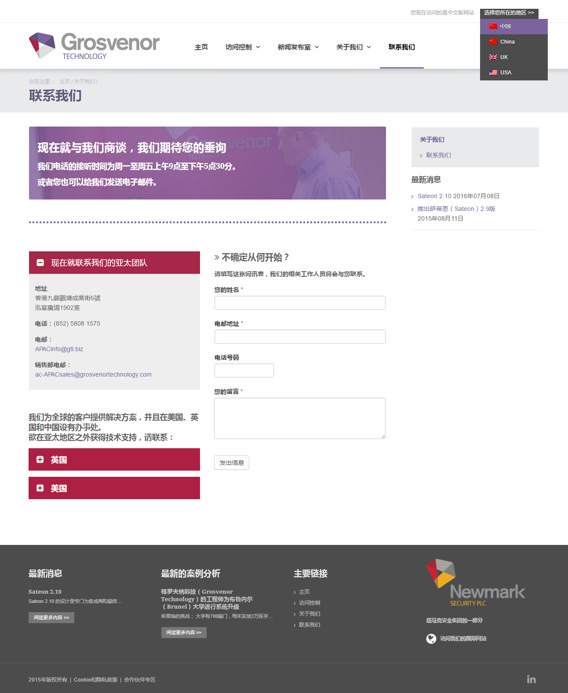 error messages within contact forms were translated into Chinese. The multilingual WordPress Multisite setup allows the marketing team to easily switch between each of the websites via their back-end menu, without having to log into multiple websites. It also simplifies maintenance, with one shared base theme and one set of plugins to keep updated. 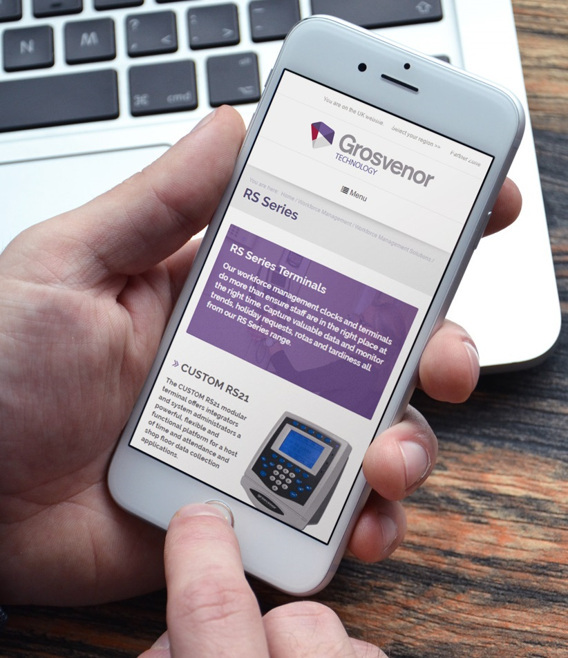 To meet Grosvenor Technology’s growing needs, in 2016 we developed a new microsite for the company’s partner customers, which again was built on top of the core website. This microsite contained product registration forms, training and reference material, and was used for customer support. We created a simple login system, so access was restricted to approved partners only. 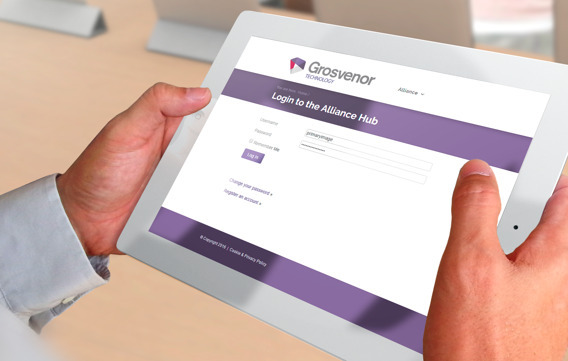 Grosvenor Technology wanted everything within the partners’ area to work seamlessly on mobile devices, which our 2015-designed base was perfectly able to do. We also included an “email me this page” facility, so users could simply hit a button and a link would be sent to their email address (already predetermined via their login account). Grosvenor Technology’s website traffic rose by 28% between 2015 and 2016. I checked our SEO and [a search term] used to get us page 16 on Google – we’re now page 3 already! With Workforce Management we’re now page 1 for “Workforce Management Terminals”. Looking for a proven WordPress web design agency to support your company? Why not speak to us and see how we can help you!